Medical treatment is guaranteed when you buy medical insurance. That’s what you think, anyway. You decide what you want or can afford and pay for it. If it comes to paying up though, your insurers might have a way out. Assisted suicide is cheaper than treatment. A Nevada-based specialist, Prof. T. Brian Callister and two of his patients discovered this recently when Callister prescribed them life-saving treatment. 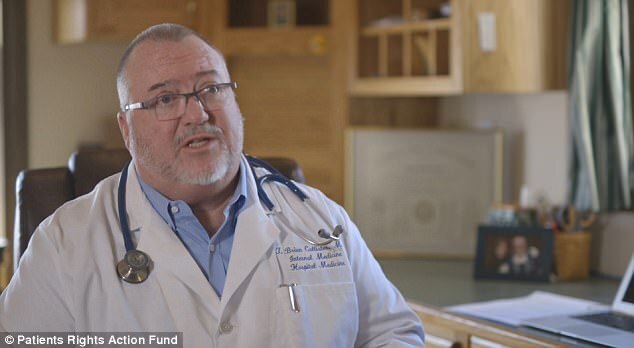 In both cases the patients were visiting Nevada and Callister had to ask for a hospital transfer to their home states. One lived in California; the other in Oregon. Both California and Oregon have legalised assisted suicide. Both patients’ insurance companies denied the requested transfer. Both denied the requested life-saving procedure. Instead, the companies asked Callister if he had offered his patients assisted suicide. “I was just floored. The best I could muster was ‘uh, that’s not legal here yet.’ And they said if you get them back home we can take care of it,” Callister says. Callister says he chose to become a physician to make a difference in people’s lives. Assisted suicide legislation with its consequent effect on the insurance system is now undermining his ability to do this, he says. “As much as most insurance companies try to come across as your best friend, they want to do whatever the least costly thing is. “It’s a lot cheaper to grab a couple drugs to kill you than it is to provide you life-sustaining therapy,” Callister says in a video posted on the website of Patients Rights Action Fund.